This brand new, original theatrical series takes an intimate look at the individuals and stories ​​behind the one time home of Sir John A. Macdonald. As our guest, you will be treated to an immersive experience, as our talented and trained actors guide you from room to room, unfolding the plot as they go. Come be a fly on the wall and witness the often hidden personal side of Canada’s First Prime Minister. 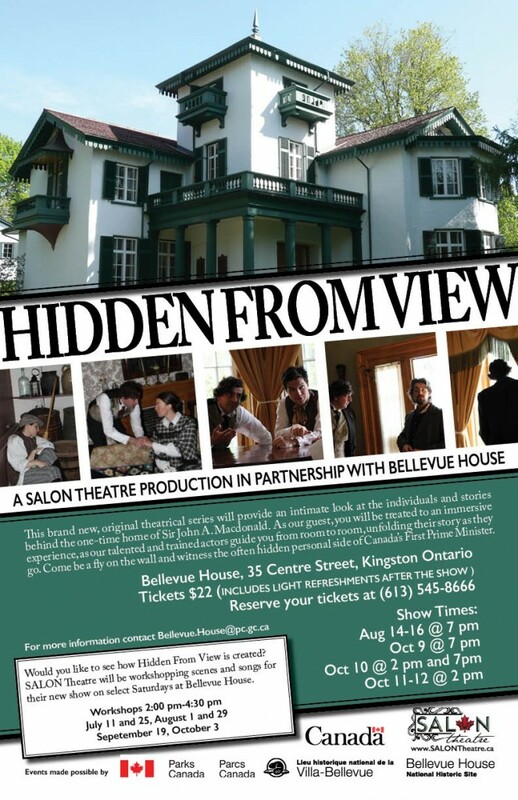 In addition to the shows, SALON Theatre will be at Bellevue House on select Saturdays to workshop Hidden From View on location. Poke your head in and see how the SALON actors collaborate to create an original production. The workshops will be included in Bellevue House’s regular admission. No reservations required.